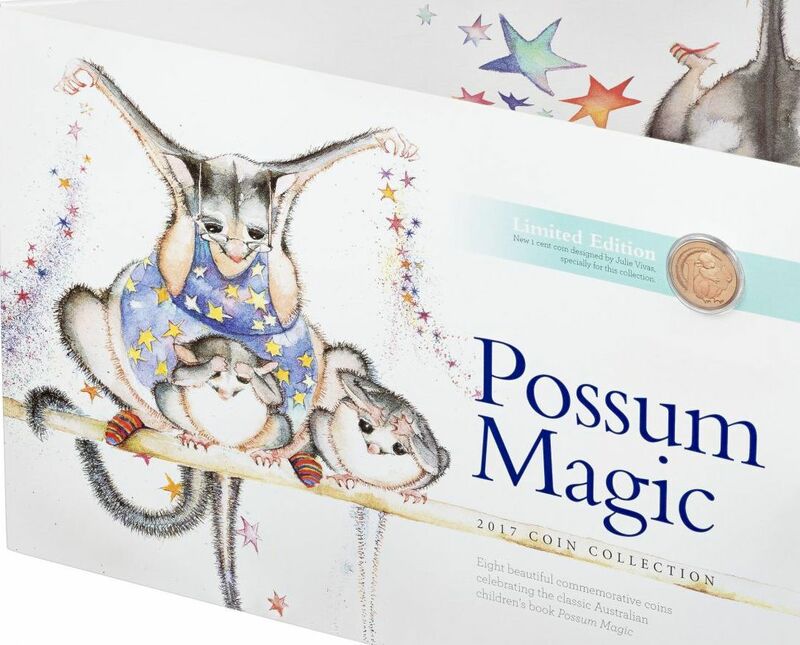 Look out for the second coin in the 3 coin series of Possum Magic coins available from today at Woolworths. 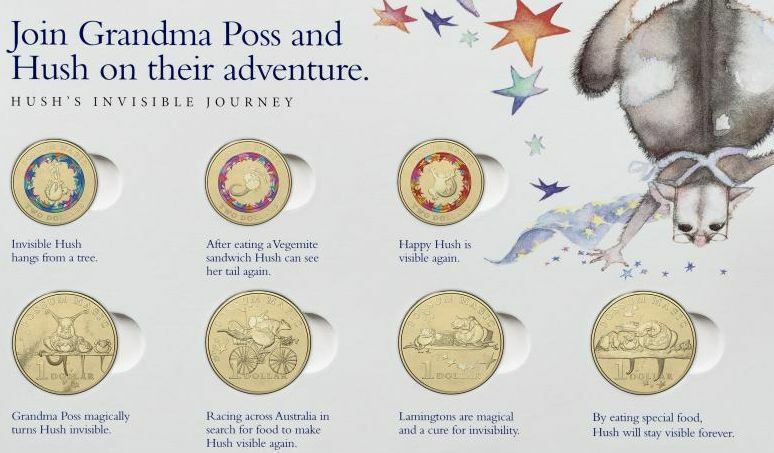 The purple and pink multi-coloured coin for week 2 depicts character Hush from the Mem Fox book Possum Magic. Here she is holding a vegemite sandwich looking back at her bushy feather-tailed glider tail -the coin titled “Hush can see her tail”. The coins have been minted by the Royal Australian Mint and are being distributed into circulation by Woolworths and if you are lucky you might receive one or two in change. 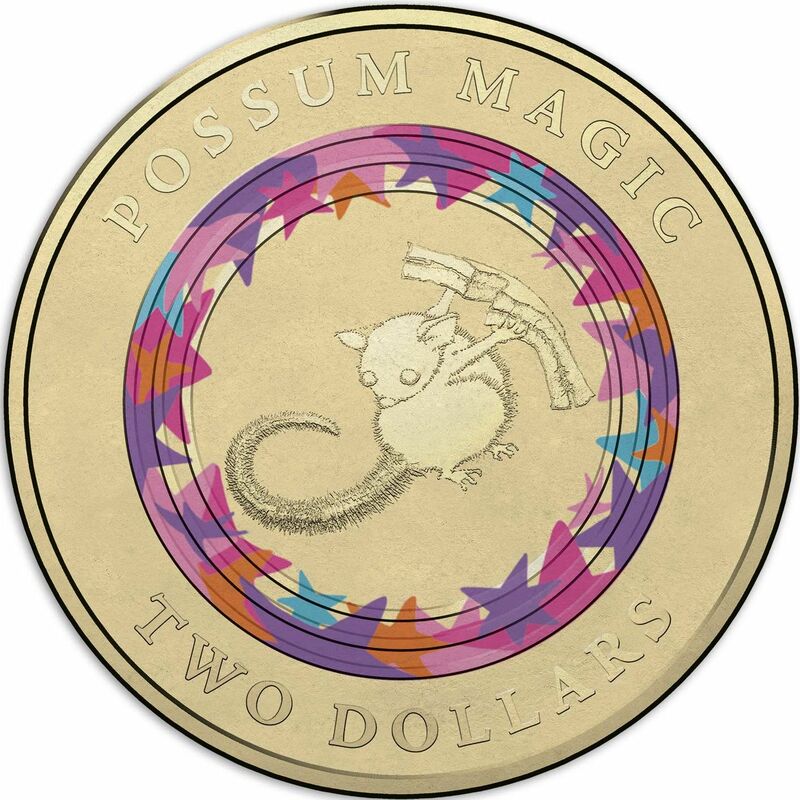 If you don’t receive a coin in change or use your card these days like most shoppers then you can still purchase the collection in a folder which includes the 3 $2 coins with colourful magical dust rings, 4 collectable dollar coins with Possum Magic reverses and a new design 1 cent piece. Stocks are limited so if you see that your store has a set, snap it up quick. $15 for a coin set of $10.01 face value is a good buy in my opinion. These are available at Woolworths, your local coin dealer and the Royal Australian Mint. They are not available if you do your Woolworths shopping online. Did you miss week 1’s coin -have a read here. Also see the coin for Week 3.